I have an extensive skill set in creative strategic planning and negotiating. I am known for maximum direct human interaction. My focus is: Southampton, Water Mill, Bridgehampton and East Hampton. Paula Hathaway is a Specialist in Southampton Village and the surrounding Hampton Villages. "I have an extensive skill set in creative strategic planning and negotiating. I am known for maximum direct human interaction when working with the public." At Douglas Elliman in New York City, she was known for her "hands on" involvment in deals and her creative ability in building her business. "When working in New York City, I found there was a dirth of 3-4 bedrooom apartments so I made a strategic effort to find 1-2 bedroom aprtments with a side by side vacant apartment and worked with my buyers to combine the units with the help of lawyers who were expert in Certificate of Occupancy in Manhattan. I sold many units that way!" She has been a "Top Producer" for Douglas Elliman in New York City and the Hamptons for 18 years. AWARDS: Diamond and Platinum awards; Ranked #3 in the Hamptons and is among the top 2% Nationwide. In addition to selling houses and renting homes for the Hamptons homeowners, she is an authority on renovation and re-design. Paula has a portfolio of houses that she has renovated over the last 18 years, renting and selling them at top dollar when the time came to sell. With 23 years of experience in New York City and Hamptons real estate and an extensive background in Retail Sales and Product Development before that, Paula Hathaway has multiple areas of expertise. She has excelled in her negotiating skills and in her international business relationships. She has traveled extensively throughout the world as she headed the Private Label Teams to create merchandise for Major Retail Stores. Her travels took her to Europe, Mainland China, Hong Kong, Japan, Korea, Taiwan, Indonesia, India, and Turkey. Paula's focus for the last 23 years has been on the fascinating business of listing and selling houses in the Hamptons and in Southampton Village in particular. She has made a name for herself as an expert and a consummate professional in her field. Her knowledge of the history of Southampton and the real estate market in the Hamptons in general puts her ahead of her counterparts at all levels of real estate for investment, new construction development and listings for primary and second homeownership. Paula has built her base of very happy clients and customers through her intense attention to detail and her willingness to go the extra mile to get a deal done. Sales, Planning, Client Guidance and execution of successful residential sales and listings are the focus for Paula's successful real estate business. Each client receives complete market data needed to enter into a productive relationship with Douglas Elliman. This gives Paula the authority needed to present their properties in the most lucrative marketing vehicles available to the real estate profession. Internet exposure comes from independent websites such as HREO.com, New York Times. com, Realtor.com, ActiveRain.com, elliman.com and hathawayhamptonhomes.com. Print advertising is also used in the well established Elliman Magazine, Homes of the Hamptons, Hampton's Magazine, Avenue and BEACH magazine. All listings are treated with the utmost care; each home that is listed with me is handled with a level of incomparable attention to the property---no listed property is shown without full participation on the part of buyers through my screening and approval processes. Customers are treated with the confidentiality they deserve and are shown every applicable and available property. All customers are qualified and referred to an appropriate financial adviser should the need arise. Complete market reports are supplied to each buyer, informing them of the conditions they can expect now vs the height of the market. Market analysis and strategies are created immediately upon initial appointment. A written synopsis of all available market data is made available for easy and fast reading, and before any showings occur. 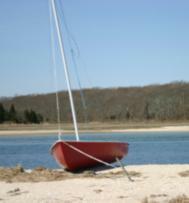 Selling and listing real estate in Southampton Village and the surrounding Hamptons is my focus. Listing and selling mostly high end and ocean front properties while never forgetting the "bread and butter" properties and affordable houses that need updating and restoration or renovation. Careful analysis of a given location or locations is completed upon request. This helps in decision making on the part of either buyer or seller. Buyers and sellers have the benefit of years of experience and negotiating skills when working with me. Buyers and sellers rely on my expert knowledge when it comes to renovation and restoration. Names of contractors, carpenters, home inspectors and engineers, handy-men, stagers, housekeeping services and all associated professions are available upon request. With an extensive skill set, begun in my earliest career of retailing, I have been able to help both buyers and sellers strategize how they want to approach the purchase or the sale of property. My negotiating ability has been the key in making deals come together and resolve successfully. This skill was built and strengthened by doing business in Mainland China, Japan, India, Turkey, Eastern Europe and many other foreign countries. Negotiating with such diverse mind-set and cultural backgrounds gives me a very particular advantage over my competition. Paula was a fantastic agent for us. She made the process so easy and stress free. She was a great negotiator and always looked out for our best interests. She also really listened to what we wanted and gave us great advice. Because of her we found our perfect house. Paula was insightful in understanding what kind of property we were looking for and did not wasted our time showing us properties that were not suited to our taste and needs.She had our best interest at heart and got us the house for the price we were willing to pay! She was very updated with the market situation and gave us a clear vision how to find a house with potential to increase value in the long run. On top of that, she is a great person to relate to, always pleasant and prompt in responding to question. I appreciate your knowledge and honesty when you helped me with the purchase of my condo this year. I was so upset with my first agent because she misled me when trying to sell me a condo. I didn't know what to do until I met you and you were able to set me on the right course and helped me buy the best condo in the best place for me! I have been so busy that when you helped me get past the complications of buying a couple of properties so that I could get started on new construction projects, I was blown away by how smoothly everything went---and in such a timely manner!